Canada provides great options for engineers under re-opened Canada FSW program 2014. Citizenship and Immigration Canada (CIC) has recently announced new occupations and new caps to attract foreign professionals under FSW occupation list for engineers. Under the re-opened FSW program, the country is providing excellent opportunities for engineers. So, if you are a professional in engineering and looking for the best job opportunity then Canada would be the right place for you. All the candidates who are having at least one year of experience in one of the 50 eligible occupations are eligible under FSW occupation list for engineers. 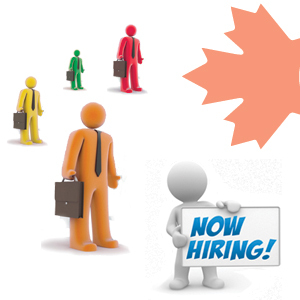 Job opportunities for engineers in Canada find exiting employment opportunities especially under FSW program 2014. Engineering is considered as the regulated profession in Canada and the professionals are offered with incredible options. If you are having enough skills and minimum work experience in one of the eligible occupations then you will be hired by the Canadian employers. The only thing you need to consider before looking Job opportunities for engineers in Canada is to improve your language skills either in English or French or both. You need to carry all your documents pertained with education, work and identity for applying under FSW occupation list for engineers. The candidate is screened under point’s grid system. Candidates will be allotted Points based on factors like educational back ground, work experience, age, language skills and adaptability nature. Must be proficient in languages like English or French. FSW program provides many jobs for engineers in Canada for forigners. The country is mainly focused on foreign professionals who are skilled enough and having requisite work experience in one of the 50 eligible for FSW occupation list for engineers. Want to know more about canada FSW occupation list for engineers please fill morevisas quick enquiry form Or call us on our toll free number : 1800-2000-144.